Re-entry after winter break has not been easy for him. The rules and restrictions of school--Sit Still. Be Quiet. Do What You Are Told, Nothing More, Nothing Less--have been grating on him, and it shows. His teacher recently emailed me; she’d noticed a change in his behavior (more belligerent, less likely to cooperate) and wanted to know if there was anything going on at home. He hasn’t been allowed outside at school all week; it’s too cold. Yet this son has spent happy hours outside at home this week, all bundled up, moving snow with the toy snowplow, creating “snowmobile trails” in our yard with his sled and shoveling both our walk and our neighbors. This morning, as always, my son was up and dressed before the rest of the household; he likes time to play Minecraft before school starts. But he also cleaned the dirty glass on the woodstove, started the fire and brought wood into the house. Kids haven’t changed much over the past 150 years; our society has. So while my son still needs movement, still craves real-world learning, physical labor and ways to contribute to his family and his world, he’s expected to spend most of his time in a desk, in a classroom, with 20-some other kids his age. He’s not allowed to go outside at school when it’s too cold or wet; he’s expected to sit quietly in the library or auditorium during recess time. 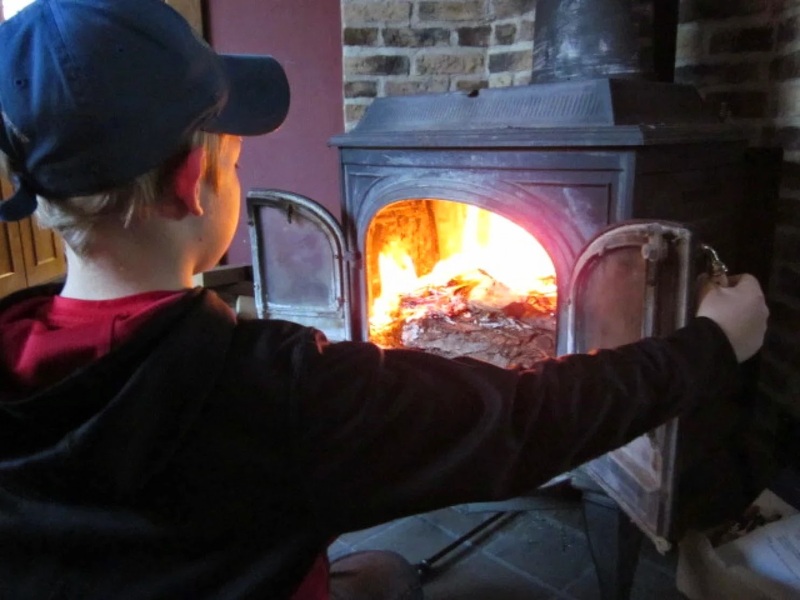 He’s allowed few opportunities for “real” work; today, when you hand an 8-year-old a saw or allow him to start a fire, people look at you askance.